Door signs are now available in reflective materials, making them easier to see in low light conditions, thanks to advancements in materials and manufacturing techniques. ASG Services are specialist warehouse sign manufacturers, producing every type of placard used, in warehouses and distribution centers. At our production facility near Atlanta, GA, we produce dock door signs based on standard sizes as well as custom designed using the latest production methods. Loading door signs are typically a flat board design, with a number or letter displayed to denote which position the driver should go to. With advancements in materials and manufacturing techniques, door signs are now available in reflective materials, making them easier to see in low light conditions. ASG Services are also able to create them in much larger sizes than previous. 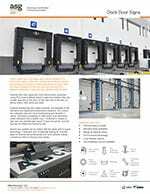 The easier they are to see, the more a driver can concentrate on his or her safe navigation through the warehouse or distribution center yard once the correct loading dock has been identified. ASG Services installation teams are fully trained and insured to carryout dock door sign installations through the US and beyond. 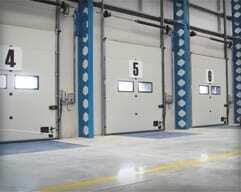 Dock door signs are typically installed along with other warehouse sign and labeling products produced by ASG Services, making it another cost effective service from a leading supplier. Warehouse management system signs which are equipped with barcodes and human readable content are more popular than ever. 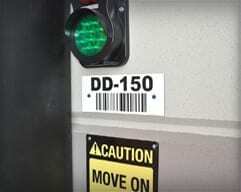 Barcodes are often created for long range scanning using reflective materials which is ideal for scanning around a loading bay as the placard is usually placed on the wall a number of feet away from the scanner. 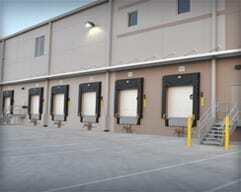 WMS dock signs are designed with ease of use and space restrictions in mind. Areas for attachment are not always available or of a good size due to many other items positioned in the vicinity. We also supply warehouse signs direct to the customer. The signs can be provided with pre-drilled holes and hardware for fixing. 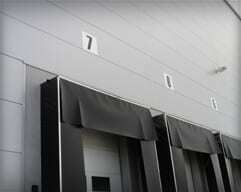 Our online store provides an easy method of ordering dock door signs online. The signs listed are in common standard sizes, the applied content can be chosen by the customer or vinyl characters can also be purchased. Call today and discuss your situation or ideas, we're happy to help and to answer questions. Send us the information and questions and we'll respond with as much information as we can. If know what you need and need them quick, you can buy dock door signs from our online store.